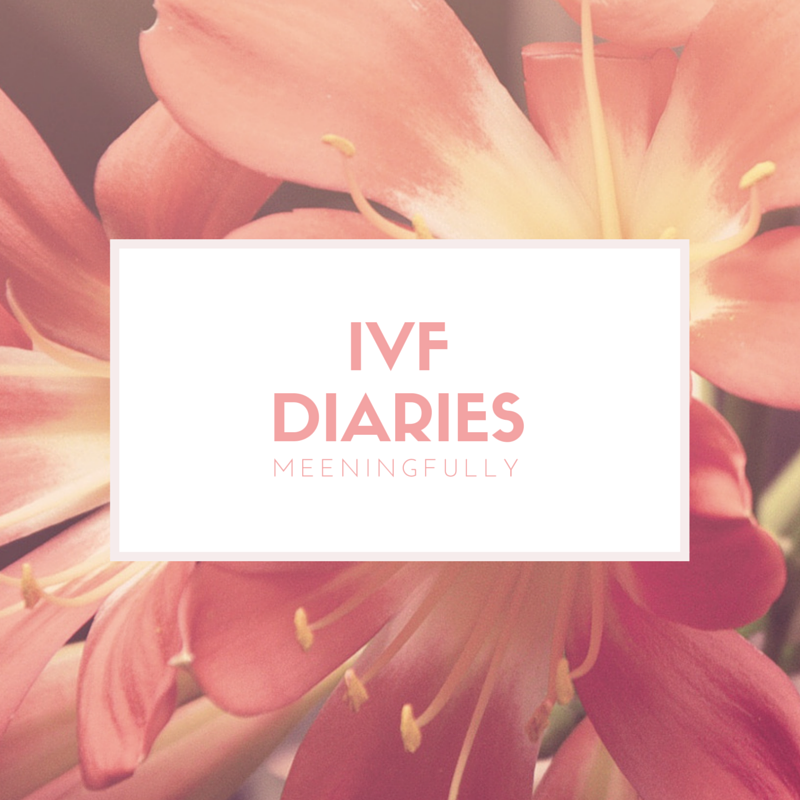 Home / all about me / infertility / ivf / ivf diaries / love / Project B / reflections / IVF Diaries: Out of the game, for now. IVF Diaries: Out of the game, for now. At the sight of the first spot of blood, I text the man. He replied, "I love you, ok?". When we got home from work that night, he probed further on whether it was really the much dreaded period. I replied without much emotions, and threw in a " You mean you had high hopes for this cycle?". I sounded like I didn't care. (This is once again, the hardest part. The pretending that all is well and dandy). Of course he had high hopes, because I did too. No matter how cautious we were. No matter how many times, over and again we told ourselves not to sink too deep, we always always find ourselves gasping for air. Today, while typing this, I broke out in sobs. Because the first birthday of the child I lost almost 2 years back just past. And today, the child I wished I had was once again, but only a dream. So, here we go again, back to the grind. Oh well, it might as well be that way so we can spend quality time to celebrate the birthday ( and mine) with our cheeky monkey in Taiwan next month. Anyway, on a happier note, I countered the "depression" by doing some online shopping. Great food for the soul, I must say. We will be taking a break this month at the advice of our doctor. During this time, we will remain grateful for what we have in our lives today and hope for the best when the next cycle comes. I will continue to share what we went through this current cycle, so do stay tuned.